I love the new aggressive look! I saw a 2007 Vantage coupe over the weekend (for sale) and I've been infatuated since.seeing a few threads like this one aren't helping matters. Did you have to use new studs and lug nuts with the H&R spacers? Did they come with those, any issue with the factory stud holes and the aftermarket studs. Wonder why AML (and many other manufacturers for that matter) do not set them up like this from the factory? Interesting question. Maybe to avoid ground clearance and curbing issues? Some manufacturers eg. Porsche seem to get fender gap just right. I've always thought Astons had about 1/2 to 3/4" too much gap, even the V12V. Sunir - the kit came with lug nuts. You don't need to put extended studs as the lug nuts provided have deeper threading therefore provides the necessary security when used on stock studs. i will need to take better photos soon...it looks so much more aggressive without compromising civility and the spacer does a perfect job on widening the stance without "hellaflushing" and ruining a classy AM. I like the look, but my driveway is just steep enough to make ingress and egress a challenge if I lower my car. Next house, i will fix that. Were the spacers developed for tge DB9? I haven't run across a (vantage) application on the H&R website... Any alterations to the hub necessary or was it a straight forward bolt on mod. I just talked to Stuart and wow was I impressed with how much knowledge this guy has. 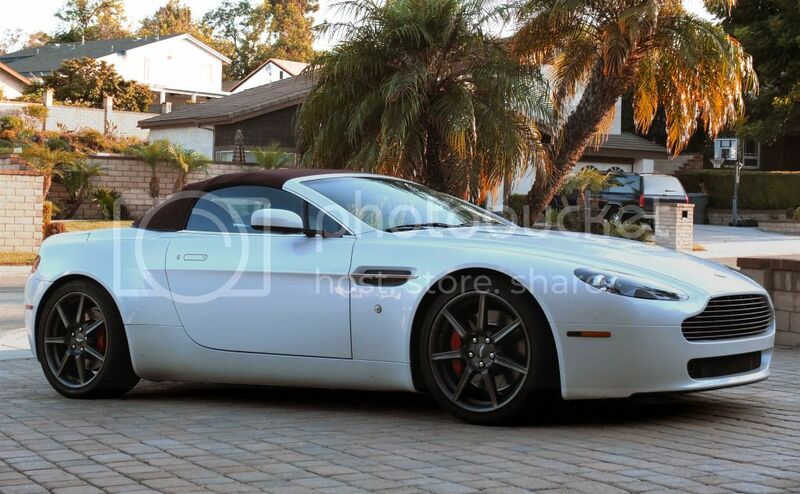 We talked for 30 min about Astons and he helped me out with what to look for when buying a used DB9. He even told me about a new product coming out for the DB9 that will yield 45whp after tuning. Give Stuart a call and he will take care of you that's for sure. RSC FTW! Yes, on H&R's website, the spacers are listed for the DB9 but the kit will fit on the V. No alterations to the hub, pretty straight forward job.